Back in December my family was all together and we made sure to take some pictures. I had a few on my phone, but didn’t want them to live there forever! 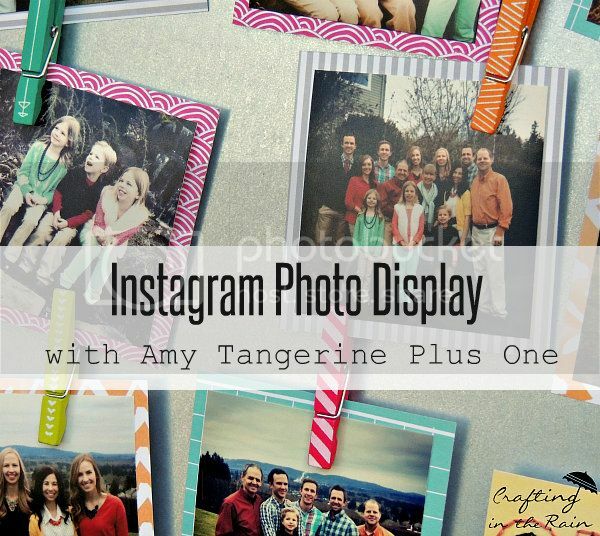 I knew the Amy Tangerine Plus One line would be perfect for making a great display for my pictures. The Plus One collection was even the top selling signature line released in winter 2014. I used the paper pack, mini clothespins, embroidery kit, skinny washi tape, date stamp and adhesive badges. Items I already had on hand that aren’t pictured are a 12×12 metal sheet, mini magnets and E6000 adhesive. 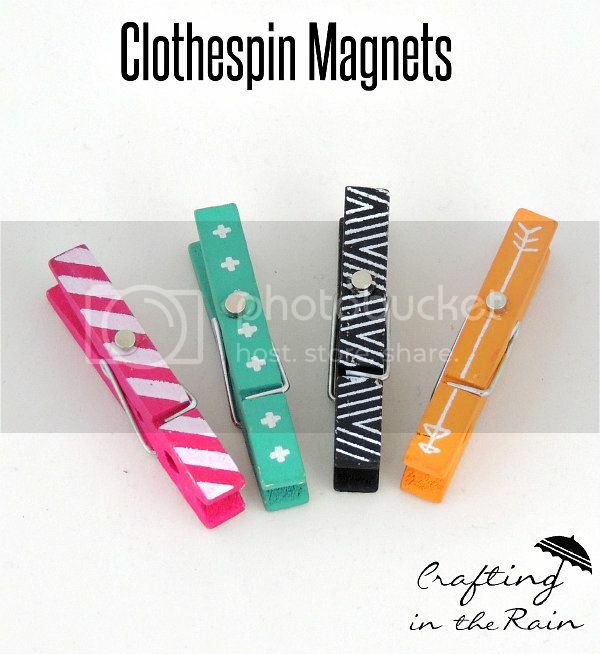 Start by gluing magnets to the backs of 9 clothespins with E6000. Let dry several hours. Cut yellow paper to 3.75 x 4 inches. Use the embroidery kit to punch holes to spell SNAP then stitch with black and pink thread (I split the thread in half so I used 3 strands at a time). 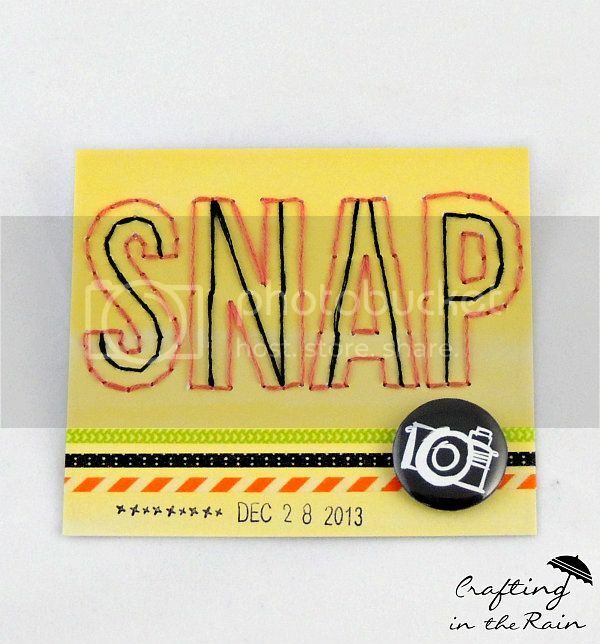 Put down 3 strips of skinny washi, stamp date on and add the camera badge. For my pictures, I went to my Instagram profile and downloaded each of the pictures I wanted to print. Use Gimp to create a blank image 6×4 inches at 300 dpi. Then open each picture that’s been downloaded. Copy one, paste in the new blank image and resize to 2.8 inches. Anchor that layer and repeat with another picture. Save this image that now has two pictures on it. 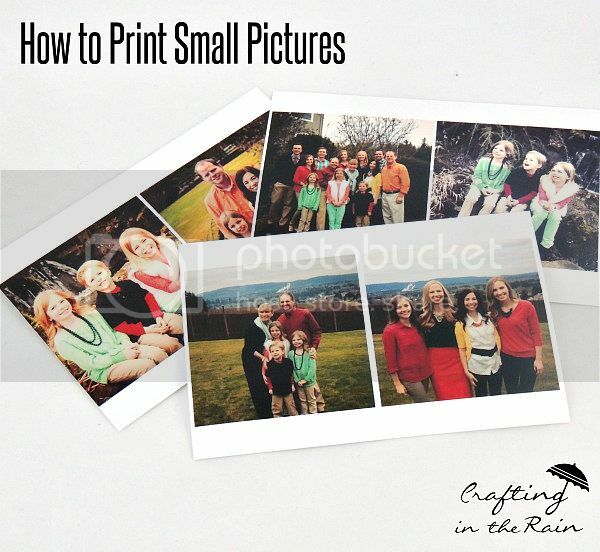 Repeat until all pictures are finished then upload to your favorite printing site. When I printed these at Costco, I was basically getting each Instagram picture for 6 1/2 cents! Trim them at home with a paper trimmer. Cut different colors of carstock from the paper pack (I used pink, orange, blue and gray stripe) into (2) 3.25 inch squares and glue pictures on. 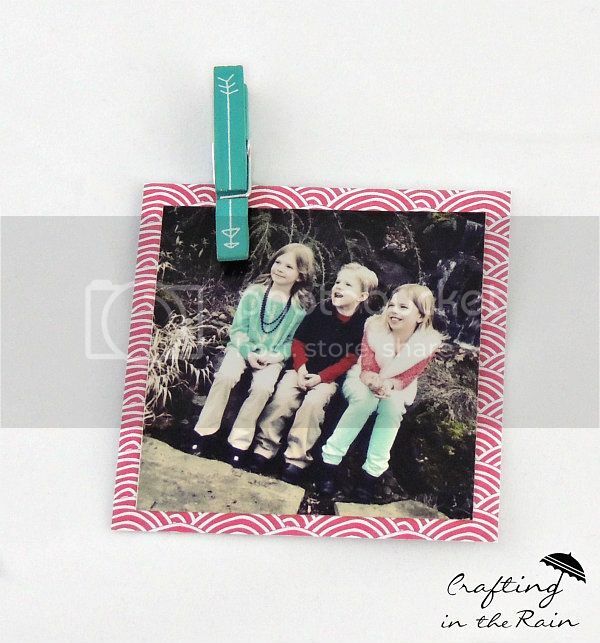 Clip a picture with each clothespin and arrange on the metal sheet. Finish with the stitched paper. 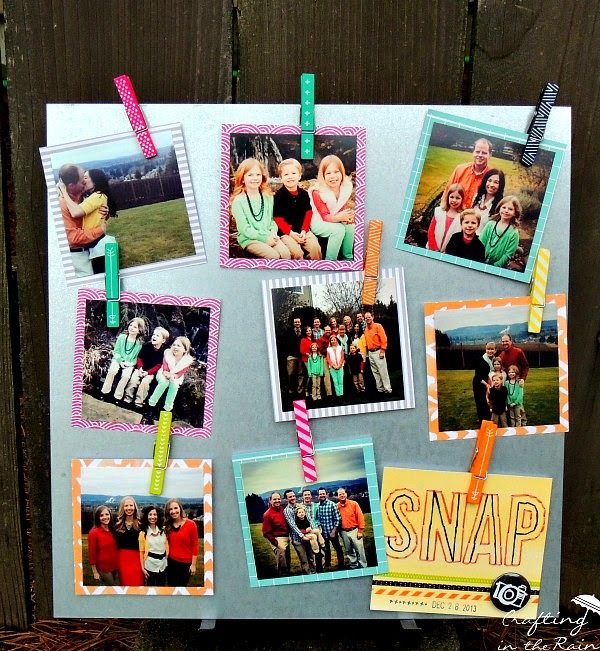 Set on a frame holder and switch out the pictures whenever you want! Now, the Plus One collection sold out in most stores and online, but will be available for sale on HSN on March 24th with 5 discounted bundles starting at under $20. 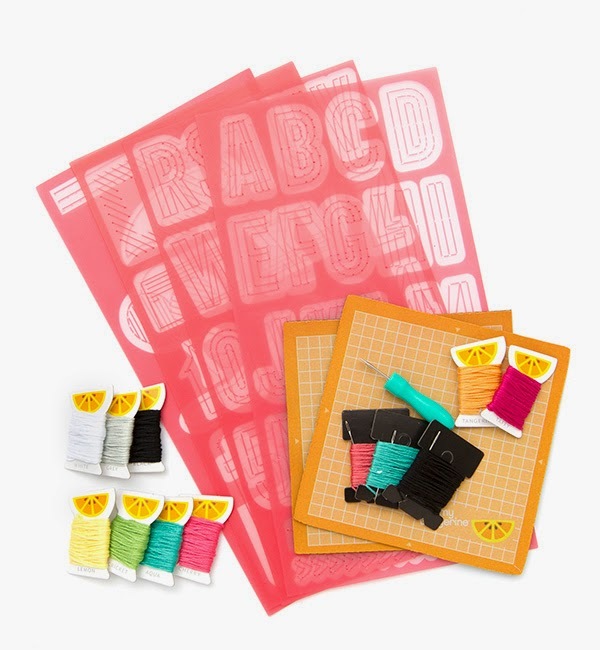 The bundles include a basic kit, an embroidery kit and a stamping kit. 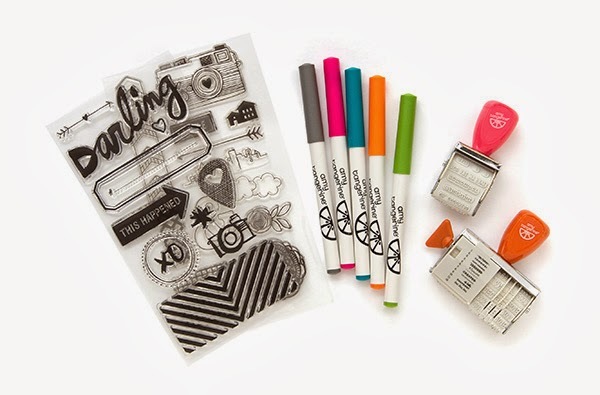 The sold out Plus One Project Life Mini Kit will also be available at a discounted rate! 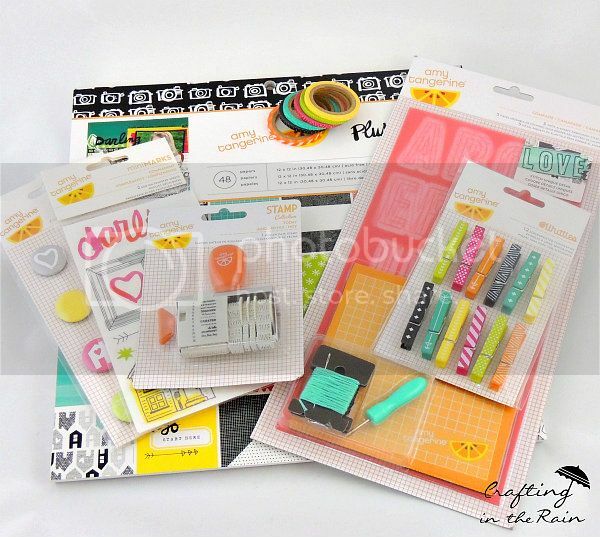 Do you just love the bright juicy colors in this collection? And I want to know if you have a favorite way to display your Instagram pics!